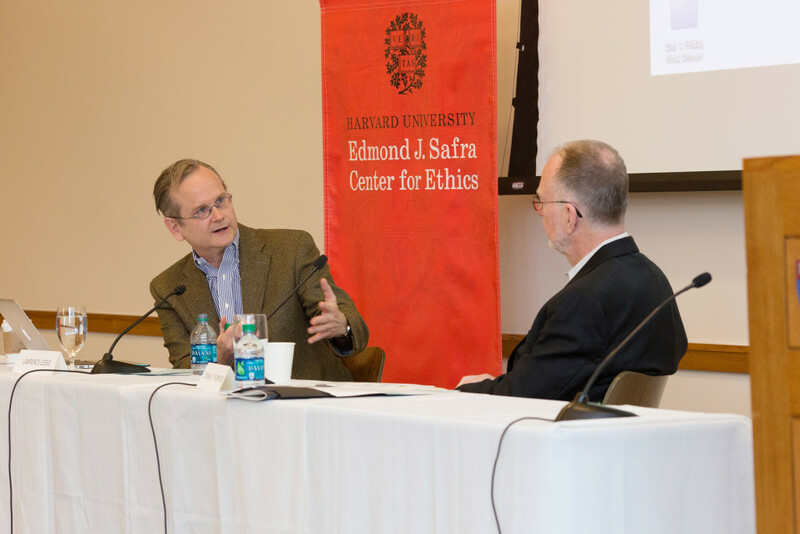 I was there at the conference and it was a real treat to see Dennis Thompson, founder of the Harvard Ethics Center, and Larry Lessig discuss corruption and potential solutions. Larry advocates changing the system by "using the system", as he has done in his May Day project. Dennis asked him to defend his approach.